There is no doubt that NFL & College football action are a bookies bread and butter followed up by the betting frenzy of March Madness. 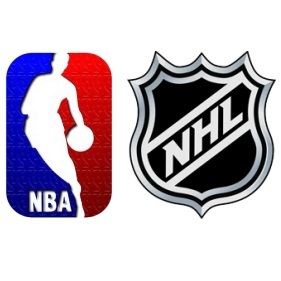 With that being said in recent years both the NHL & NBA playoffs are catching fire as well and becoming much more lucrative. There indeed is parity in the NHL where all a team needs to do is make the playoffs and play well and maybe earn a shot at the cup. The NBA finals on the other hand will probably be the usual suspects in the finals as the Heat go for three in a row. The NHL finals began last night with three stellar high scoring NHL games. The Montreal Canadiens were locked in a seesaw battle that went deep into overtime before the Canadiens came away with a 5-4 road victory versus Tampa Bay. D Weise came through with the exciting game winner in game one and if this game is any indication this series will be a very competitive one at that! Game Two Of this series will be on Friday and we expect much more of the same from two hungry and aggressive young teams. The Columbus Blue jackets jumped out to an early lead over the heavily favored Pittsburgh Penguins but couldn’t hold on as the Penguins stormed back to prevail at home winning 4 to 3. The Penguins righted the ship in the third period in their comeback victory after a sloppy and shaky start. The penguins must take Columbus serious and not getting caught looking ahead or they may be home watching the finals instead of being in them! The Anaheim Ducks jumped out to a 3-0 first period lead on their home ice but needed to hold off Dallas to prevail 4 to 3. The Ducks are coming off their best season ever as a team and are seeded #1 they too cannot afford to get caught looking forward. The NHL Playoff Betting has increased and the games are so competitive hockey bettor and bookies alike just can’t get enough action on the coolest game on ice!